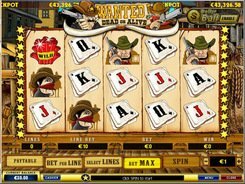 Wanted Dead or Alive is a 5-reel 25-payline video slot that evokes positive emotions and a rewarding gaming experience regardless of its threatening name. If you want to play the slot for real money, switch to a real money mode and make a bet. Wager up to 10 coins per line and set up their denomination from $0.01 to $5 to suit your budget. 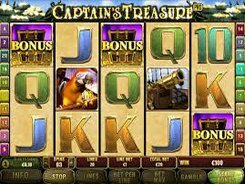 The top cash prize you can win in the slot is 10,000 coins. The jackpot is granted for five Dynamite symbols appeared on any active line. The Dynamite being a wild symbol can replace other regular icons. Wanted Dead or Alive is linked to the Dollar Ball progressive jackpot. 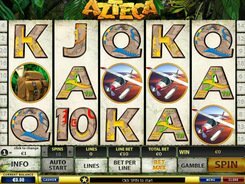 Click the Enable button at the top right corner of the screen and bet $1 to start the jackpot game. 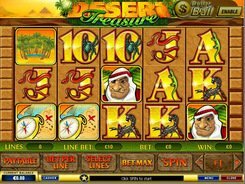 You have to select 5 numbers out of 49, and every time you spin the reels the slot will draw five numbers randomly. 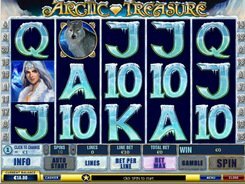 If all 5 numbers match, you grab a progressive jackpot accumulated up to date. The Money Bag is a scatter symbol activating a bonus game, provided three scatters have appeared on the reels. In the bonus game you’ll pick gold-stuffed bags. Nearly all of them hide cash prizes, but one bag is empty, and selecting it ends the bonus feature with no wins for you. To trigger another Bonus game you need to roll up Revolver symbols on the first and fifth reels at a time. You are given 6 bullets to catch an outlaw. The quicker you succeed in your quest, the higher cash reward you get. PLAY FOR REAL MONEY!